"For many years I have watched Timor Leste struggle with occupation and then civil unrest following their independence. The years of turmoil had a devastating impact on infrastructure and communities throughout Timor Leste. Very high unemployment, malnutrition, lack of access to clean water and lack of education facilities are all major issues facing the country. 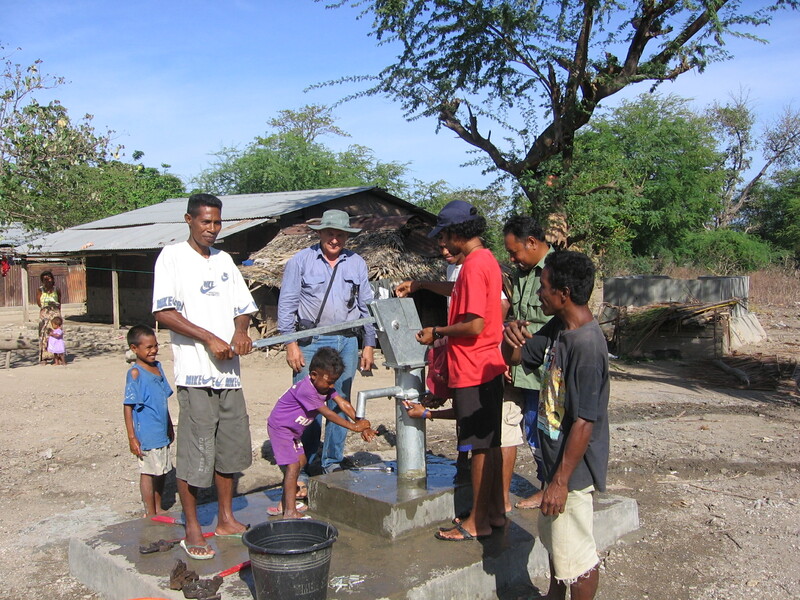 In 2007 I I was finally in a position to volunteer on community service projects in Timor Leste. I was able to use my 16 years of working experience in telephone exchanges to assist the “Connect East Timor “project installing solar power radio systems in several districts. I had also began a water project installing tube wells in the Lautem district which continued for several years. With the first pump being installed at a school I was appalled at the lack of facilities and equipment and also the community poverty. I became aware of the huge volume of school equipment continually being replaced and sent to landfill. I then registered a second project in 2010 to collect and ship this equipment to Timor Leste schools. To date our group of volunteers have shipped 32 high capacity 40 foot containers to Timor Leste which included over 15,000 schools chairs. In 2014 there was an offer for a position as a project Liaison in Dili to coordinate containers and projects with a community service organisation. As I was strongly committed to supporting Timor Leste communities, I decided to close my business of 23 years, sell my home and move to Dili in July 2015. During the time of closing down and selling my home, the job opportunity disappeared. In 2016 with my Timorese partner we were able to buy a property large enough to continue my project work. With the Liaison office now closed down and the country predominantly non English speaking, there is a greater need for a project support base in Dili to provide short term accommodation, workshop and training facilities for volunteers. We have almost finished a two bedroom cottage, installed power and security fencing around the property. Located 5 kilometres from Dili CBD and airport, the property is ideally situated. Once completed it will be used for teaching trade skills, water pump installations, Ferro cement tank construction any training offered by volunteer groups."